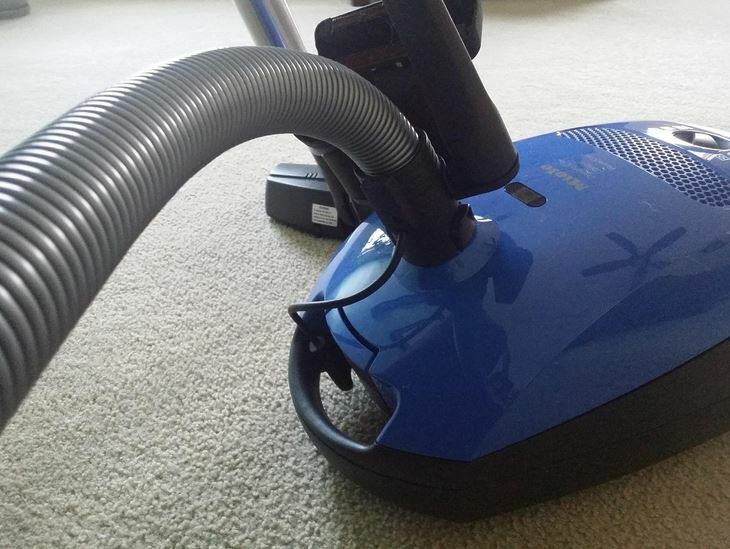 Investing in a high quality canister vacuum is essential if you’re looking for a no-hassle way to clean a variety of floor surfaces. 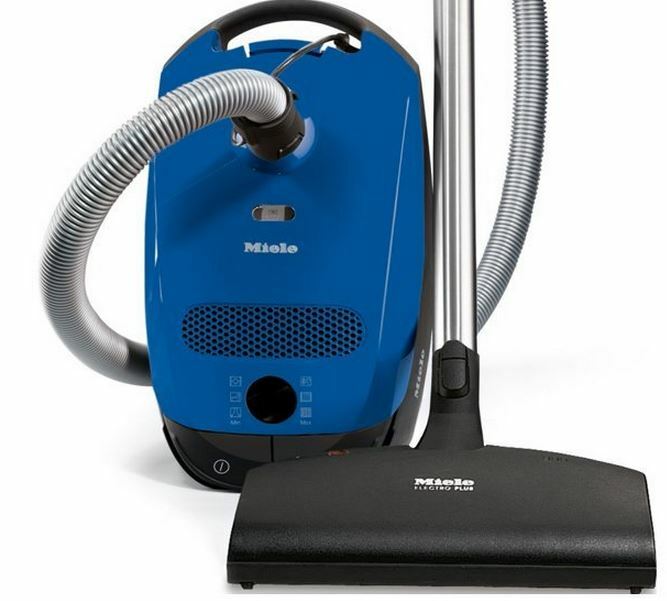 Miele has been a well known manufacturer of some of the highest quality and longest lasting vacuums on the market. One of their latest releases is the Miele Classic C1 Delphi Vacuum Cleaner. It’s equipped with the powerful cleaning capability you need, and built with the high end grade that will last for decades of daily use. It’s extremely quiet, highly maneuverable, and loaded with a few very nice features. We’re going to take a closer look at it to try and figure out what it has to offer. Thanks to the specialized ‘Vortex Motor System’, you’ll never run out of power. Recommended for low to medium carpet and hard floors, the Miele Classic C1 Delphi is universally fit for a wide range of areas from the home to the office. Located on the from of the vacuum is a rotary dial that allows you to select the current power level. This way, you can turn down the power when the floor surface changes if you’d like to get a more delicate clean. When the dirt and debris is plentiful, crank it up to it’s highest setting and be impressed because this thing is a beast. 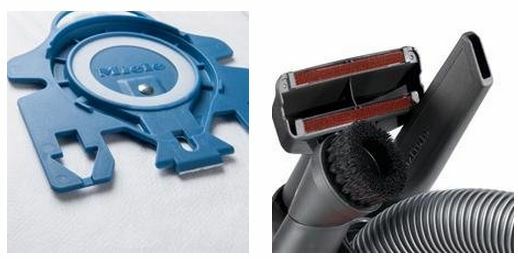 The carpet tool is self-driven electronically so you can use less effort to get the clean results you’re looking for. This is a nice feature to have if you’re vacuuming a large area. Additionally, the slim and swiveling neck design allow you to squeeze into the smallest of places. The maneuverability is really something and gives a whole new sensation to cleaning the area with a canister vacuum. The grip is nice as the fit is ergonomically corrected for the best comfort possible. It places your arm, wrist, and hand in the ideal position so there’s never any issues with strain from prolonged use. Thanks to the telescopic stainless steel wand, the Miele Classic C1 Delphi Vacuum Cleaner can reach just about anywhere. With an operating radius of 29.5 feet, you can reach difficult spaces above you, ideal for cleaning ceiling fans, shelving, ledges, and other areas that would otherwise be impossible without a ladder. 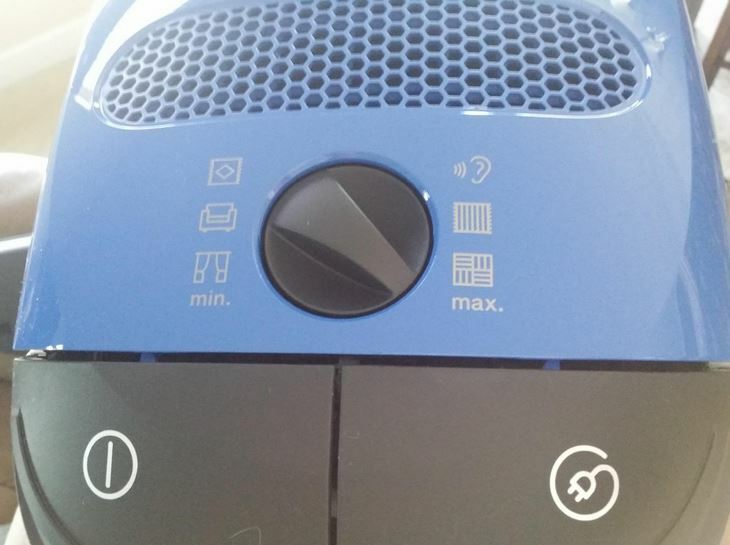 Thanks to Miele’s unique AirClean filtration system, you’ll be cleaning as efficiently as possible. It will effectively filter out 99.9% of all particles so your home is left with a clean and dust-free environment. The Classic C1 Delphi comes included with a few additional accessories that should be noted. These make is simple to clean tight corners, upholstery, curtains, hanging features, and other fragile items or areas. 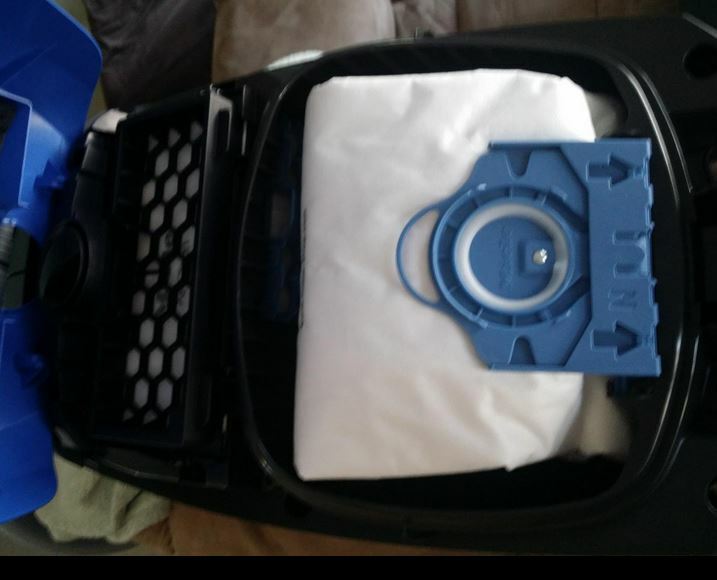 Additionally, they quickly and conveniently attach to the vacuum itself without getting in the way. Compared to the competing canister vacuums, this one operates fairly quietly. It’s the one thing that most consumers who have purchased it can agree on. Since quiet operation is a must for some, it’s easy to see how important this can be. The cord that you plug into the wall outlet never gets tangled because of the retractable feature. Although some have said that the cord isn’t very long, it won’t have to be manually wound up. This avoids a lot of clutter and makes the transition from one room to another quite simple. 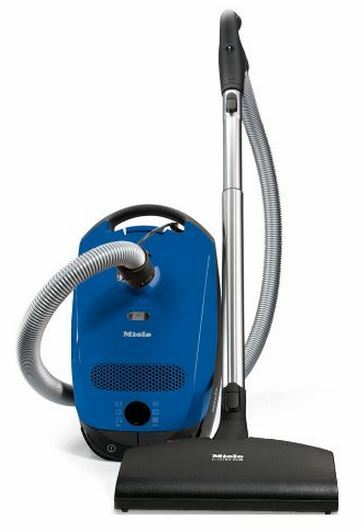 We feel that the Miele Classic C1 Delphi Vacuum Cleaner offers quite a bit in the way of features and quality. It’s tough, built to last, and cleans thoroughly without any issues whatsoever. The reach is fantastic, at 29.5 feet diameter, you’ll be able to clean in less time with more effectiveness. The one potential downside is the price, since it costs around $500, it may be out of the budget for some. However, if the budget is available and you’d like to own possibly the best canister vacuum currently available, purchasing the Miele Classic C1 Delphi Vacuum Cleaner at Amazon.com is the smart way to go. You won’t be disappointed – seriously! If you have any questions or comments about it, let us know by leaving us a comment below.